He who has learned to seek nothing but the will of God, shall always find what he seeks. It is in vain for man to endeavor to instruct man in those things which the Holy Spirit alone can teach. 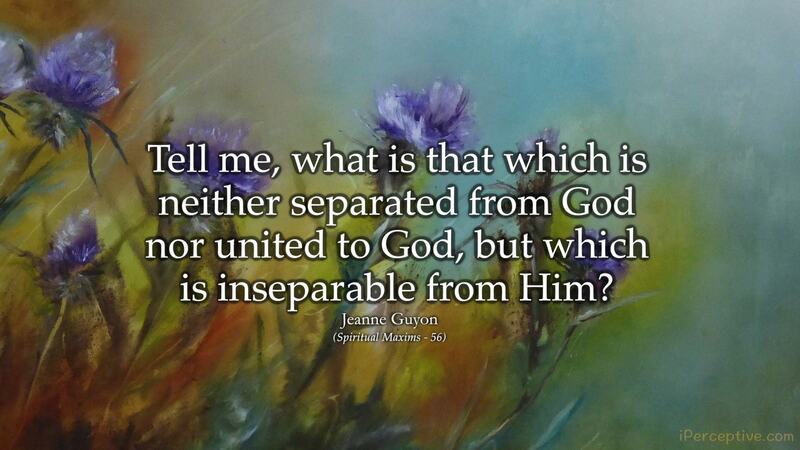 Tell me, what is that which is neither separated from God nor united to God, but which is inseparable from Him? Surrender yourselves then to be led and disposed of just as God pleases, with respect both to your outward and inward state. 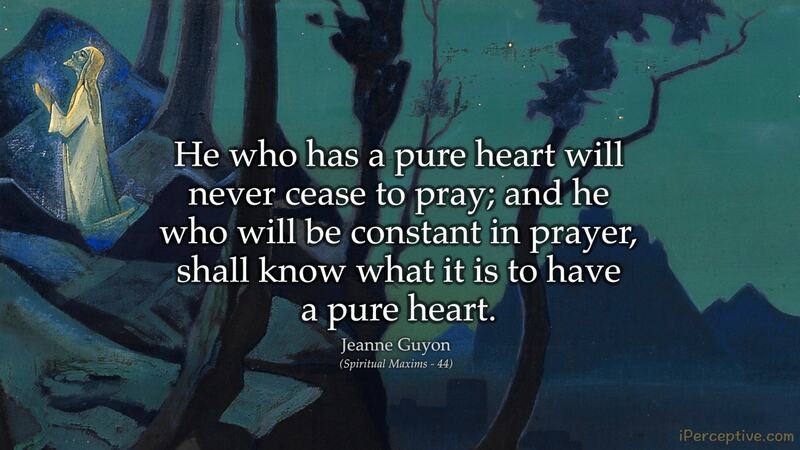 He who has a pure heart will never cease to pray; and he who will be constant in prayer, shall know what it is to have a pure heart. All consolation that does not come from God is but desolation; when the soul has learned to receive no comfort but in God only, it has passed beyond the reach of desolation. We must forget ourselves, and all self-interest, and listen and be attentive to God; these two simple actions, or rather passive dispositions, produce the love of that beauty, which He himself communicates. ALL are capable of prayer, and it is a dreadful misfortune that almost all the world have conceived the idea that they are not called to prayer. We are all called to prayer, as we are all called to salvation. THOUGH God has no other desire than to impart Himself to the loving soul that seeks Him, yet He frequently conceals Himself from it, that it may be roused from sloth, and impelled to seek Him with fidelity and love. Prayer is a certain warmth of love, melting, dissolving, and sublimating the soul, and causing it to ascend unto God, and, as the soul is melted, odors rise from it; and these sweet exhalations proceed from the consuming fire of love within. We do not die spiritually, once for all, as we do naturally; it is accomplished gradually; we vibrate between life and death, being sometimes in one and sometimes in the other, until death has finally conquered life. And so it is in the resurrection; an alternate state of life and death, until life has finally overcome death. Be patient in prayer, though during your whole lifetime you should do nothing else than wait the return of the Beloved in a spirit of humiliation, abandonment, contentment, and resignation. Most excellent prayer! and it may be intermingled with the sighings of plaintive love! This conduct indeed is most pleasing to the heart of God, and will, above all others, compel his return. What is a help to perfection at one time, is a hinderance at another; what formerly helped you in your way to God, will now prevent your reaching Him; the more wants we have, the further we are from God, and the nearer we approach him, the better can we dispense with everything that is not Himself. When we have come there, we use everything indifferently, and have no more need but of Him. Man frequently applies a remedy to the outward body, whilst the disease lies at the heart. The cause of our being so unsuccessful in reforming mankind, especially those of the lower classes, is our beginning with external matters; all our labors in this field, do but produce such fruit as endures not; but if the key of the interior be first given, the exterior would be naturally and easily reformed. But while we confess that the enjoyment of God is the end for which alone we were created, and that every soul that does not attain divine union and the purity of its creation in this life, can only be saved as by fire, how strange it is, that we should dread and avoid the process; as if that could be the cause of evil and imperfection in the present life, which is to produce the perfection of glory in the life to come. The Transformation is recognized by the want of distinction between God and the Soul, it not being able any longer to separate itself from God; everything is equally God, because it has passed into its Original Source, is reunited to its ALL, and changed into Him. But it is enough for me to sketch the general outlines of what you desire to know; experience will teach you the rest, and having shown you what I ought to be to you, you may judge of what I am in our Lord. Jeanne Guyon was a French Christian mystic. 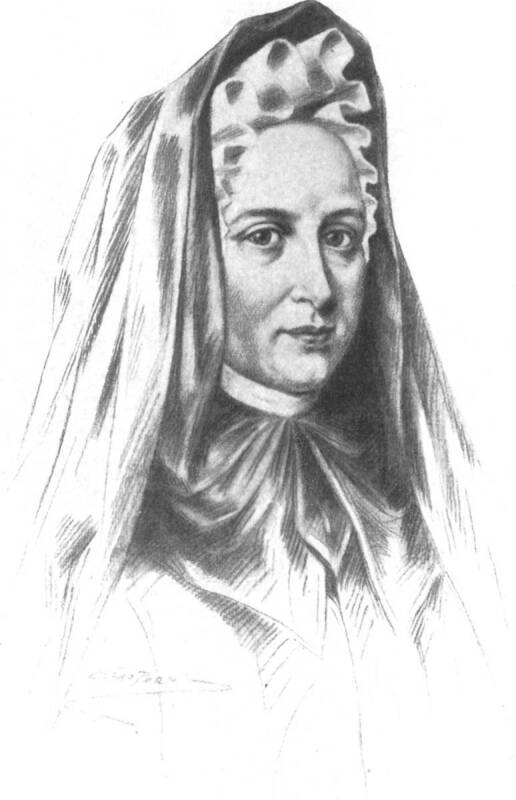 She was best known for her contemplations on prayer and for her role in the Quietist movement during her time, though she never identified as a Quietist.